I sat down to dinner a couple of nights ago. We totalled eleven, with extended family. As we started to eat, the family member next to me put down his fork, turned to me and asked in Spanish, “can I ask you a question?” Before I had time to respond, he then added, “what did you think of Bolivia before you came here?” Given the look on his face, I knew this was unlikely to be a casual conversation. The kinds of questions that typically run through my head in moments like these include things like, “did I say something that gave a negative impression?” Or “might there be something else going on than someone just wanting my perspective?” After a pensive moment, I responded that Bolivia was pretty much as I expected, having had some experience in South America. By the look on his face, that wasn’t a satisfactory answer. I followed up my initial comment with a question of my own regarding why he was asking, and whether or not there was something in particular he’d like to know. He responded that he was interested in how people from the U.S. thought about a place like Bolivia. At this point, it was clear that something had stirred him. He finally commented that he had read an article that afternoon by someone from the U.S. and it bothered him. He then asked if people in the U.S. thought Bolivians lived in huts, with dirt floors, no running water and no electricity? Unfortunately, these types of stereotypes are all too common. Many well intentioned friends have commented to me about their concern that I’ll be kidnapped, get parasitic infections from bad food and water, live in less than inviting abodes, worry about insect bite infections, and the like. From my perspective, we see what we choose to see. Is there potential danger living in Bolivia, Colombia, or any other Latin American country? … Yes. Is there danger walking alone down the streets of Boston late at night? … Yes. As we talked, I was reminded that along with all of the usual stresses one might find in a less developed country, many Bolivians have college educations, and have studied, lived and traveled abroad. They are doctors, lawyers, engineers, politicians, college professors, nurses, and … . 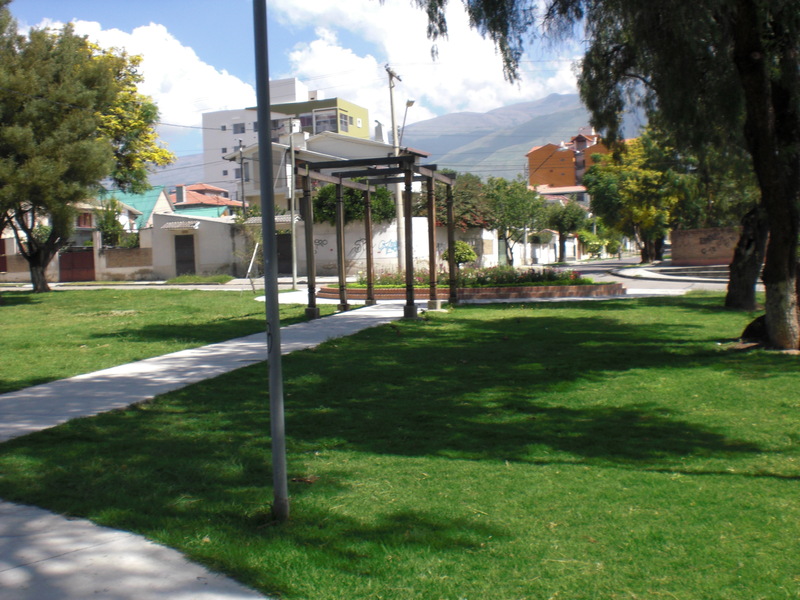 A significant number of people in Cochabamba live in comfortable middle class homes. What’s more, they don’t have credit card debt and they don’t carry massive mortgages. Again, we often see what we want and choose to see. One of the messages that this discussion drives home for me is that a country like Bolivia, like any country, has its share of variety. 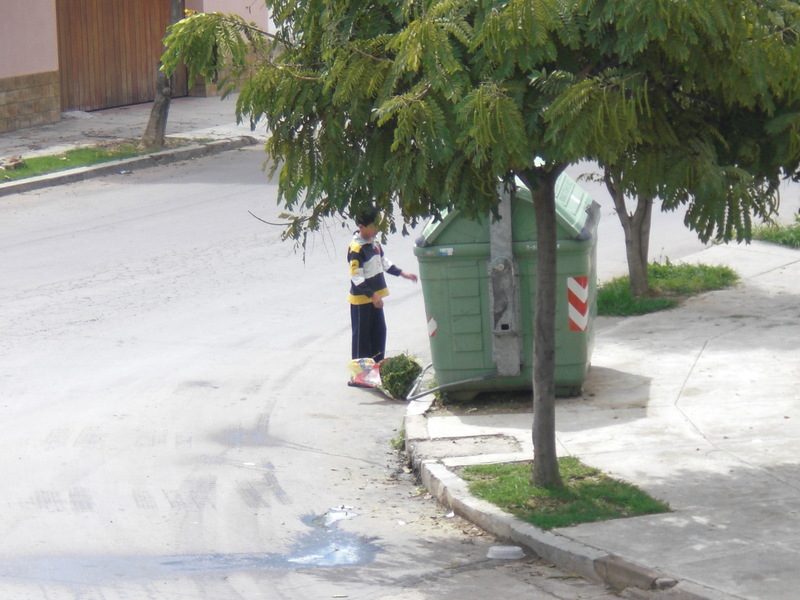 Yes, poverty is visible on the streets (and yes, it may be significantly more than we’re used to seeing in the U.S.) … yes, homes in Cochabamba don’t look like they might in downtown Boston … yes, basic infrastructure often doesn’t match what we in the U.S. might expect (dodging potholes is an art, and no, you shouldn’t drink the water from the tap) … BUT, letting something like an experience of poverty or untreated public water define Bolivia is no more appropriate than letting a visit to Appalachia, or a soup kitchen in downtown Boston, define the U.S.
You are now a multi-faceted Missioner, representing U.S. Anglicanism (at least we’re so accepted at the present! ), and a sane face to the “estadounidense” North American face. What splendid opportunity, and, of course, you will be learning much more from your hosts than you have on offer for them. Though, dear Ted, you have more than most to offer!